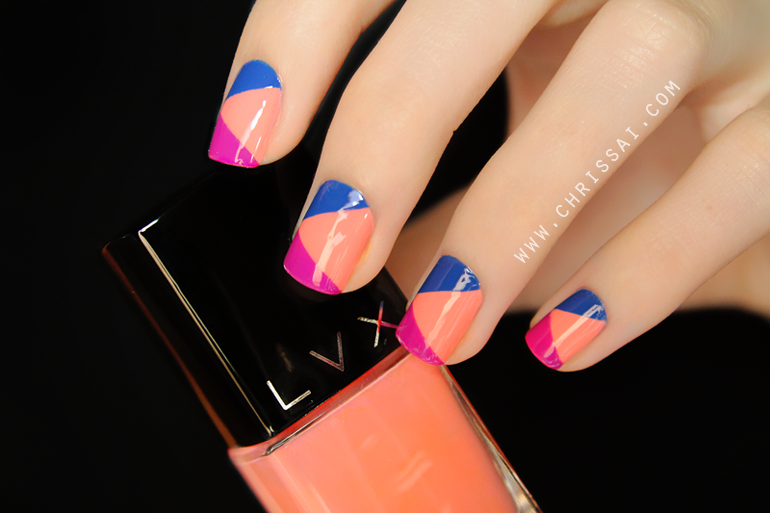 As many of you probably already know, LVX is my favorite nail polish brand. Their packaging is so sleek and sophisticated looking and the formulas are absolutely amazing. I love a brand that provides great presentation both inside and outside of the bottle and LVX does exactly that. LVX Monaco, Deco, and Orchid. So I ask, what are your current favorite nail art trends? Are you loving bright colors as much as I am? oh yes i love bright colors!! especially summer is approaching! And these manicures are so gorgeous!! 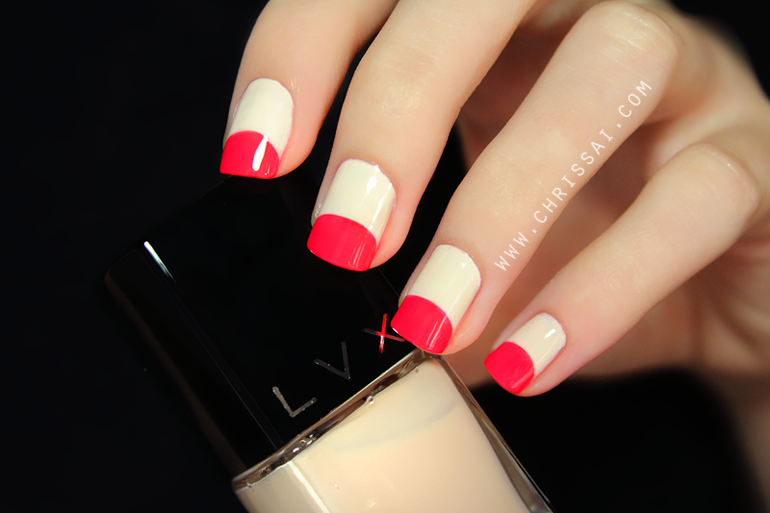 I love your half moons with the bright red!